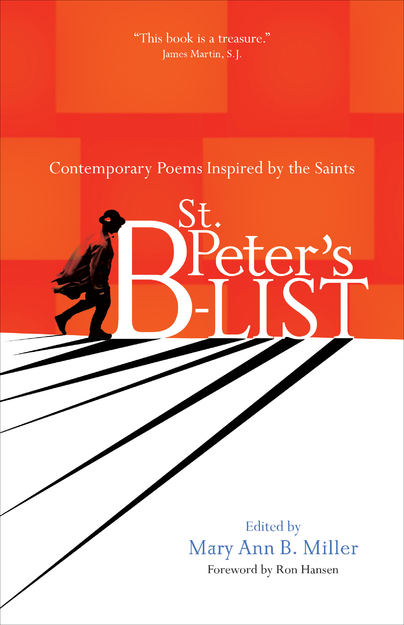 St. Peter’s B-list features poems by Dana Gioia, James Tate, Mary Karr, Paul Mariani, Brian Doyle, Franz Wright, Judith Valente, and Kate Daniels, as well as many new and emerging poets. This anthology invites readers to view the saints as they’ve never imagined them, reaching for the sacred, doubting, bumbling, and then trying again. The collection features wide-ranging poems on ordinary topics, such as a mother trying to get her newborn to fall asleep, an older brother concerned about the marriage of his sister, a lonely man trying to meet a woman in a bar, and a burn victim’s compassion for a small child. Neither devotional nor pious, these poems capture how, in unexpected ways, the saints illuminate daily life for everyday saints-in-the-making and engage readers in the important struggle to see the action of God in their lives.